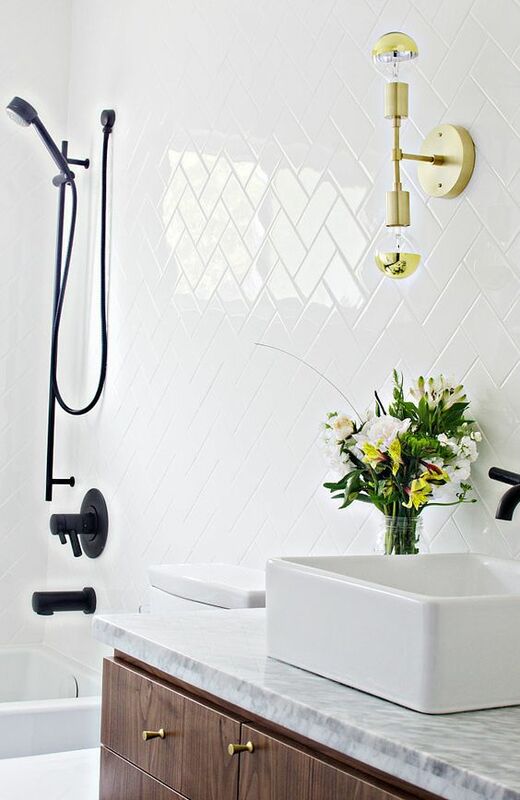 Maybe you’re more attracted to a subtle tile with a change in orientation! Below the Affordable Companies completed a shower renovation that really expands the eye, top to bottom and left to right, making the shower appear large, spacious and bright all by using a variation of sizes and install orientations (Horizontal and Herringbone) to complete the design. Do you have a small space to really pack a punch in? If so, consider a patterned cement tile by one of the several brands at the Affordable Companies! Like so many tiles, there is truly a color and pattern for everyone’s style! Here are a few of our favorites from Caledonia Stone and Tile (sold at the Affordable Companies). Are you interested in incorporating a unique patter tile in your project? Comment below or share on our Instagram feed @polishinteriorandartdesign.